Ah February, a month of blossoming love, the promise of spring and a massive PlayStation Network sale from Namco Bandai Games! Starting tomorrow, Namco Bandai Games will be holding a four-week 50% off sale of selected digital games and downloadable content across the PlayStation family brand of systems. If you’ve been holding off on riding the high seas with One Piece: Pirate Warriors, unlocking the mysteries of the past in Dark Souls: Atorias of the Abyss, rolling around town in Touch My Katamari or stretching to new worlds in Noby Noby Boy, now is your chance. The sale will start Tuesday, February 5th and run until Tuesday, March 5th. The following list features the games and downloadable content featured in this month’s sale. I llike how the timeframe to purchase the games are extended kudos!!!!!!!!!! I don’t know what Noby Noby Boy is, youtube time. I was hoping Galaga Legions DX would be on sale; I missed it when it was on sale a week or 2 ago. Meh.. I hope this isn’t the big sale of the week. 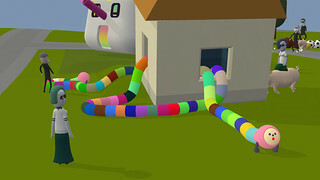 Noby Noby Boy is beyond terrible (and I love Katamari too). It’s like a bad tech demo gone wrong. 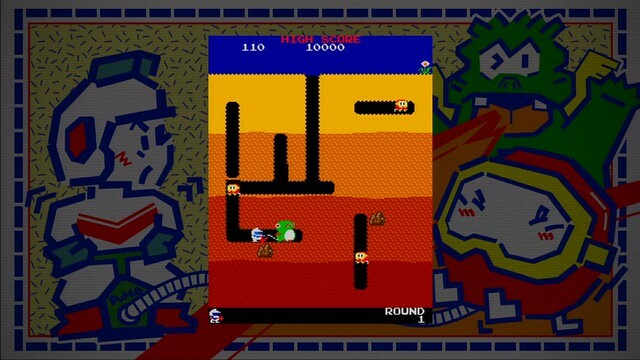 The 4 classic Namco game for $4.99 is the price it should have been to begin with. I love the classic games, but I wish Sony would just designate a new area for them. Make it a virtual arcade where you can buy cabinets or cartridges and play them in your own custom arcade. Then you can invite friends over to play co-op online. Charge $3-$5 each and don’t forget the trophy support. MS tried something like this and failed, so now you should show them how it’s done! Retro games are hot right now. Why let Apple and Android get all the money?? How bout’ an Update on Jojo’s Bizarre Adventure All-Star Battle hitting the US hopefully? You guys did say it’ll be an Exclusive. Loving the Re-make of the anime too. Aside from that, ONE PIECE at 25$? Glad i waited. Will the DLC for Ridge Racer Vita be on sale as well? I would like to get the extra cars and tracks, plus the Daytona car. May consider buying one piece since it’s a month long sale. I heard Ridge Racer….was eh but $12 might scratch my itch for another racing game on Vita. Artoias of the Abyss get. This is an interesting sale. 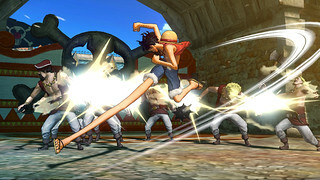 I want to pick up One Piece Pirate Warriors and the DLC. 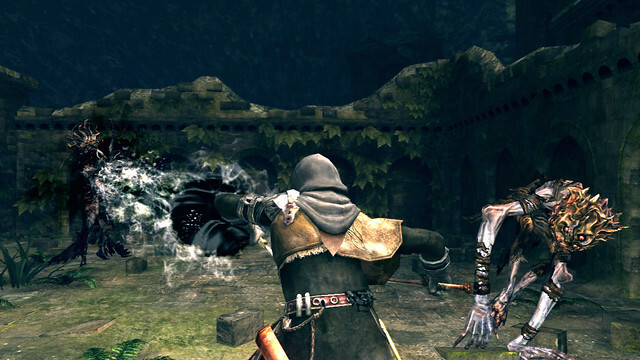 I have no excuse not to pick up the Dark Souls DLC: Atorias of the Abyss. thanks, Nick. Any plan to release some Ni no Kuni avatars or themes? Gamers sure are stupid these days. If these games weren’t going on sale, you wouldn’t have known to complain about them. It’s funny that a SALE (of all things) triggers people’s desire to whine. How embarrassing. No, companies are trying to survive. YOU ARE THE GREEDY ONE because you want everything so cheap all the time and don’t care to see things from the other side. If you can’t afford this hobby, get a new one. You don’t seem to like games very much anyway. And I thought the SquEnix FF-only sale was aggravating, but these aren’t even good deals. Ridge Racer 7 3D is the only one thats a decent value. The rest on are on the high end of what should be their retail value in the first place. @62: I’m well aware of overpriced content on PSP/Vita. I browse the entire store to look at the prices to see if anything has dropped that should have by now. Then laugh at how pathetic it is that really old games are over $20. I don’t need a sale to tell me these things, but it is a good time to make our voice heard that it’s unacceptable to charge what they’re charging. When two newer, albeit lacking in content budget games, Vita games are less than PSP games from ages old then something is wrong. $50 says many would buy those games if they were $20 at all times, and were thus $10 on sale. But they’re FORTY DOLLARS. That is ludicrous. New PSP games releasing now aren’t even $40. And some of them still release at retail (go Aksys!). Please remake the ps1 and ps2 time crisis titles remastered in HD and with playstation move + G-Con3 support and release to the PSN. I’ve been wanting this for a long time. Dude, is it possible to buy any of these games on a compy? ‘Cause I’ve been itchin’ for some one piece. Why are the DBZ/Naruto PSP games STILL available not on the Vita Sony????? The only PSP games that I’m still willing to shell out some cash on, and you still won’t let me…. There’s a reason for everything, and it’s not always “greed”. You people really gotta get that paranoid conspiracy theorist habitual thought process out of your head. does anybody know if the offer will be available in Belgium? Noby Noby Boy is not worth $ 2.49…..what the hell was that game?? I bought it at launch and consider it the worst thing I have ever bought on PSN. They should give me my money back for the tech demo. can you play ‘naruto un impact” on ps vita? Echoing #50 here, I’d love to see the Namco Museum PS1 games. I already have Essentials, and while I do enjoy it, seeing the PS1 Museums would be great too; I always liked the 3D Museum aspect, plus, as PS1 classics, they’d be playable on the handheld platforms. I know I’d buy all five. Pity none of those really interest me. Oh well there’s always next week. If i download the Dark souls DLC from the US PSN store, will it work with a european game disc?? ?